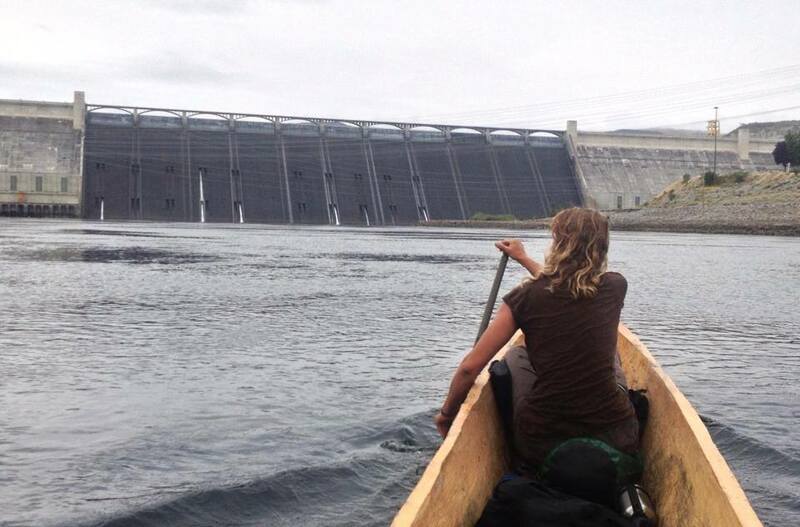 Documentary about restoring salmon above Grand Coulee dam with a message: One River. Ethics matter. A film from Voyages of Rediscovery. The film Treaty Talks: A Journey up the Columbia River for People and Salmon is the story of the struggle to bring salmon back to the Upper Columbia River, and how it relates to renegotiation of the Columbia River Treaty, as told by people who live on its shore and tributaries, and who have paddled its many miles. It is also the culmination of a journey that has spanned four years and touched countless live in the Columbia Basin. 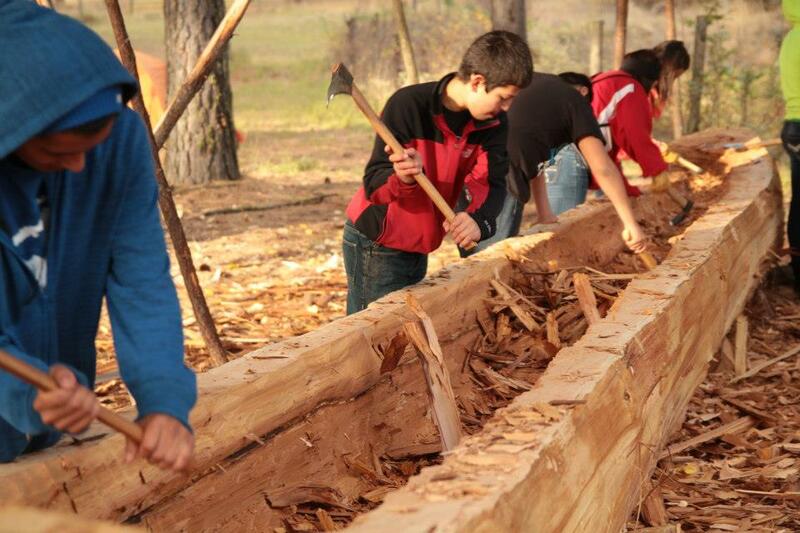 The Journey began in the summer of 2012 as Voyages of Rediscovery began the carving of two dugout canoes in Kettle Falls, Washington, with help from elementary school students and community members. From there, three more canoes were carved at Inchelium School, Wellpinit School, and The Havermale Medicine Wheel Academy in Spokane. As the Students carved these canoes, they decided that they wanted to carve them to represent the five species of salmon that used to return every year to the upper Columbia River, but have been blocked since the completion of the Grand Coulee Dam. 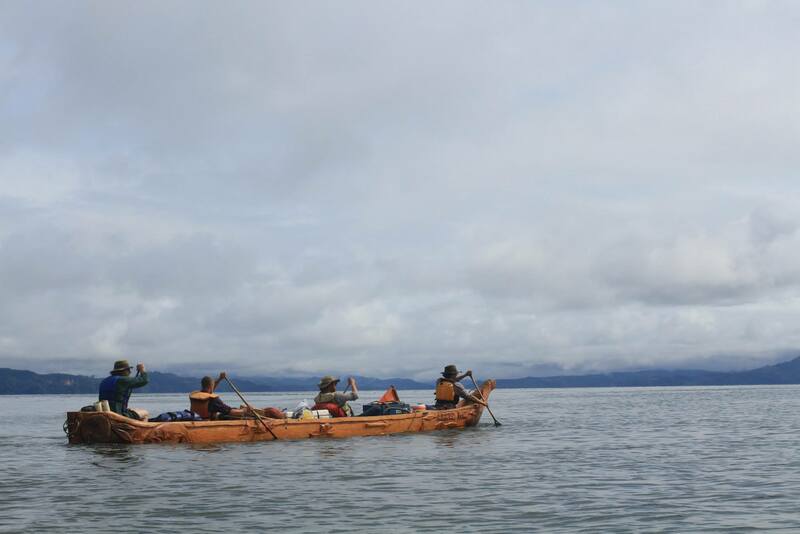 As the fifth canoe in Wellpinit was nearing completion, there was a realization that this would not be the end, that these Salmon Canoes needed a story to tell. That story would be the return of these spiritual salmon to the Upper Columbia River. On August 1st 2013, a crew from Voyages of Rediscovery launched from the Mouth of the Columbia River, in Astoria, Oregon on what would become a three month journey to the Source in British Columbia, 1,243 miles away. The journey would not have been possible without the spiritual, emotional, and physical support of everyone we met along the way. “Treaty Talks” is a chance for those who care about the river, to tell their stories, and to inspire us to bring the Salmon back, to find a way to balance, power, flood control and ecosystem function in the complex world that we live in. Treaty Talks was made possible with support from Upper Columbia United Tribes, Canadian Columbia River Intertribal Fisheries Commission, Okanagan Nation Alliance, and the Columbia Institute for Water Policy.